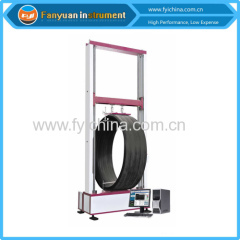 Pipe Ring Stiffness Tester is designed to measure the ring stiffness,ring softness and creep rate for plastic pipe. ring softness and creep rate for plastic pipe. Group of Ring Stiffness Tester has been presented above, want more	Ring Stiffness Tester and Pipe Ring Stiffness Tester, Please Contact Us.